Some new research suggests that eating low-fat dairy products could lower your blood pressure. That’s according to research reported in Hypertension: Journal of the American Heart Association. Wendy’s, the nation’s third-largest quick-serve restaurant chain, has recently begun to promote three new dairy-friendly items on its popular Kids’ Meal menu at nearly 6,000 stores across the country. Sounds like a fine idea to me. I sat at an Ohio State Ag Alumni awards banquet last year with an alum from the dairy biz. I was thrilled, being a multi-gallon per week milk drinker, when he ordered a pitcher of the milk for the whole table. His comment was that he was always amazed when he took his dairy clients to dinner that they rarely ordered milk, so he ordered it for them. Sounds like a good policy to me, like fueling your farm equipment with soy biodiesel or driving a flex-fuel car. That same mineral you may be using in your ration may be keeping the bugs in the field from getting sick. The latest research out from USDA’s Ag Research Service suggests that moderate dietary levels of selenium may actually strengthen insect immunity. Typically, high levels of selenium are toxic to pests, but studies with cabbage looper moths and tobacco budworms found that the group raised on artificially high, though not toxic, levels of selenium had a stronger immune response system, therefore lowering the effectiveness of microbial biological control agents used against them. Boehringer Ingelheim Vetmedica is offering several products of benefit to the dairy industry, including Vovikalc calcium boluses, Daque nutritional supplements for calves, Stocker insecticide ear tags, and Breed-Back FP for BVD. Ohio has become Ground Zero for the Raw Milk debate. It is, to put it mildly, a passionate debate, with folks on either side clinging valiantly to their beliefs. We’ve been tracking a bill in the Ohio legislature that would change our state’s position on Raw Milk from one of prohibiting sales of Raw Milk to one where the trade of Raw Milk is perfectly legal in a given set of regulatory circumstances. Harvestore is striving once again to become the heart of dairy nutrition systems. To that end, the producer of those iconic blue silos has added a long-time dairy nutritionist to its staff. Greg Anderson, M.S. 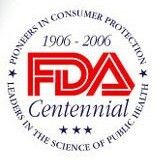 has been named Consulting Nutritionist, serving both Harvestore customers, and Harvestore researchers. 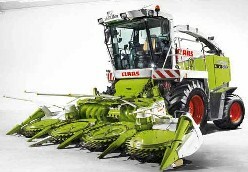 CLAAS of America is raising the horsepower of the JAGUAR line of forage harvesters with the announcement of the GREEN EYE lineup. The GREEN EYE features a host of technical innovations designed to imporve productivity and efficiency. There’s some new calcium dietary recommendations out in Australia. They’ve increased the recommended daily intake but unfortunately most people aren’t getting enough under the old guideline. With higher energy prices this summer, you might be tempted to stretch that silage a little farther than you probably should.